Reliability is crucial to a smooth-running and successful dental Practice. Belmont is world-renowned for the performance of its Operator’s consoles and delivery systems. All Belmont treatment centres are founded on the integrity of unrivalled air systems, the most reliable electronics and enduring hydraulics. Quolis™ delivery systems embody advanced technology, fresh innovative ideas and efficient/elegant design. 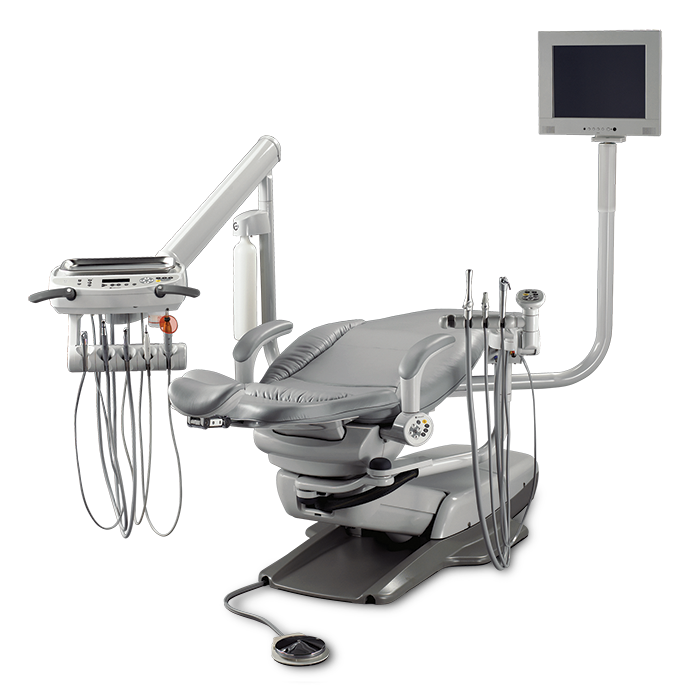 With the touch of a finger you can adjust the seat position, electric motors, piezo scaler and many other functions, using the membrane control panel with digital display on the front of the Doctor’s table. 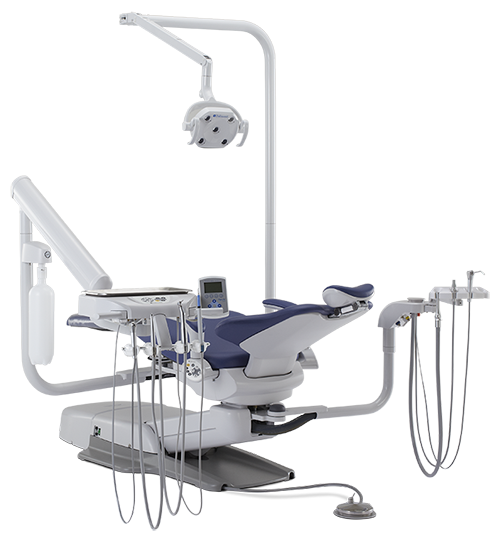 Quolis delivery systems are available in a variety of popular configurations with a maximum up 6 handpiece holders and memory settings up to 4 dentists. Ergonomics are fully realized with this very sophisticated Belmont unit. Air Q.D. and Water Q.D. Quality Efficient Delivery System allowing you to focus on patient treatment. 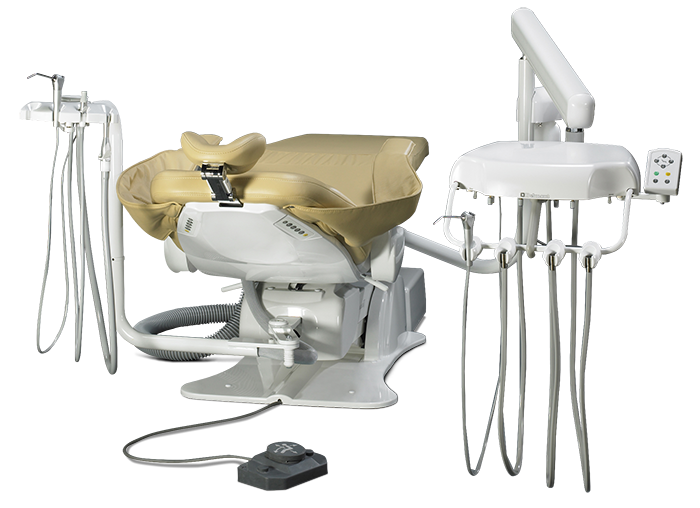 Quality and Premium performance with Evogue delivery systems for every dental practice. Evogue dental units are the perfect build it to your needs modular systems for outfitting operatories when flexibility is key. Evogue delivery systems optimize patient treatment productivity through the efficient access to controls and by providing an effective range of motion for positioning handpieces. Thoughtful design and layout of delivery system controls simplifies operation, so practitioners can focus more on patient treatment. X-Calibur delivery systems have proven track record of worry free service. Combination of value and dependability can not be challenged in the market place. Flexibility with configurations – swing, over the patient, wall and cabinet. Optional touch pad with 3 pre set positions. Place you and your patient in the proper position for comfort, efficiency, and production.